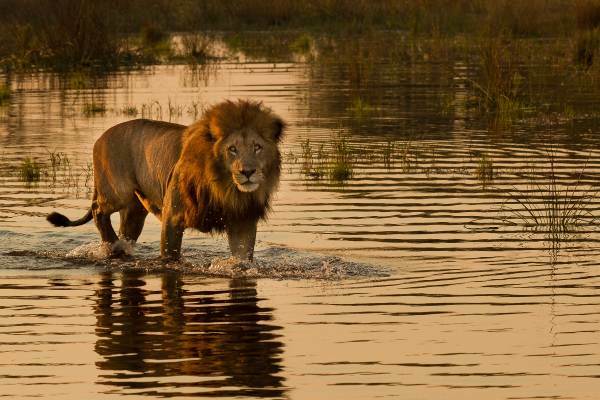 A comfort tour bringing spectacular wildlife and birdlife viewing along the watery channels of the Okavango Delta. 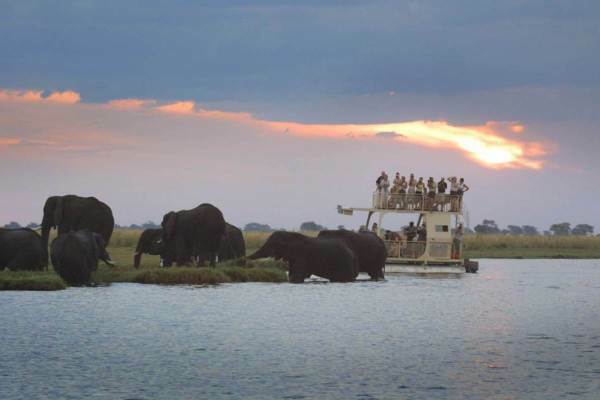 River cruise along the Chobe and enjoy close encounters with hippo, buffalo and elephant. The breathtaking Victoria Falls, colourful markets and optional activities including helicopter flights or rafting makes this an unforgettable safari experience. An early start to this exciting comfort tour sees us heading east where we cross the border from Namibia into Botswana. After setting up camp at Ghanzi , we have an opportunity to connect with the local Bushman tribe. In the evening we enjoy some traditional dancing under the stars. An early morning start as we make our way to Kasane - the gateway to the Chobe National Park. On arrival we set off on an open vehicle game drive. 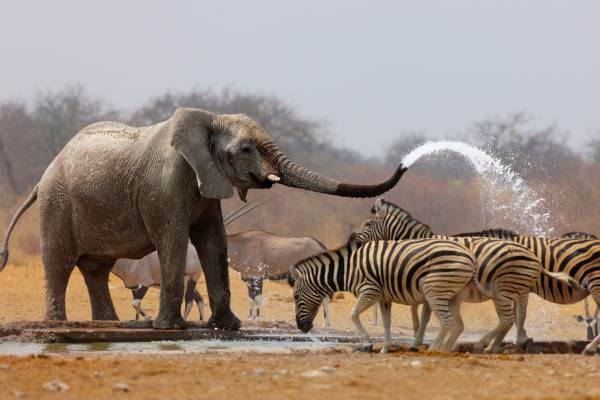 Chobe is best known for its huge herds of elephants and a high concentration of predators – notably lions. 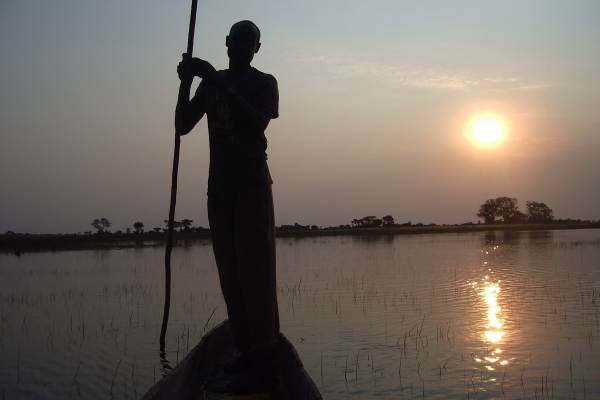 In the late afternoon we experience a relaxing safari boat cruise along the Chobe River. Hippos and crocodiles abound. One can also expect to see a variety of animals on the banks of the river, including elephant, giraffe, zebra, wildebeest and antelope. Have your cameras ready. After breakfast our Windhoek to Victoria Falls tour comes to an end. It is recommended that you stay an extra night at the falls to partake in one of the many activities on offer. The Zambezi River offers some of the best white water rafting in the world. One can bungee jump, skydive, take a scenic flight or just browse the local craft markets. Activity Package - ZAR 1640 ( Optional ) - This includes what we consider to be the key activities on this tour, A Breakdown of this payment is available from our consultants.